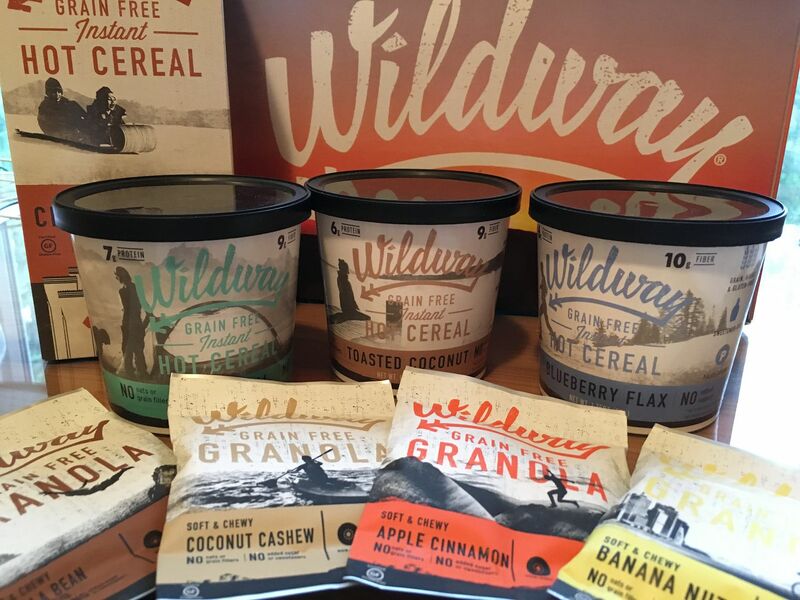 Live wildly…eat Wildway Grain-free Instant Hot Cereals and Granolas! As their name states, their cereals and granolas are grain free, so there’s no trace of wheat, rice, oats, cornmeal, barley or any other cereal grain, meaning those sensitive to gluten will be very content. Made with a nut-and-seed meal with dried dates to add just a touch of sweetness, they come in delicious flavors like Cinnamon Roll and Blueberry Flax. The hot cereals are available in single serving cups which are convenient for camping or travel as well as boxes of individual packets. Just add hot water or milk and stir. They have a higher calorie content, 245-300 calories, but they have 6-7 grams of protein and heart healthy fats for sustained energy to keep you fuller, longer. We especially liked the granola, a yummy combination of nuts, seeds and dried fruit, and best of all, no added sugar or oils and of course, no grains! Fuel your wild way of life with healthy, real foods from Wildway!